Hi, how can I make the activated grid appear by default? 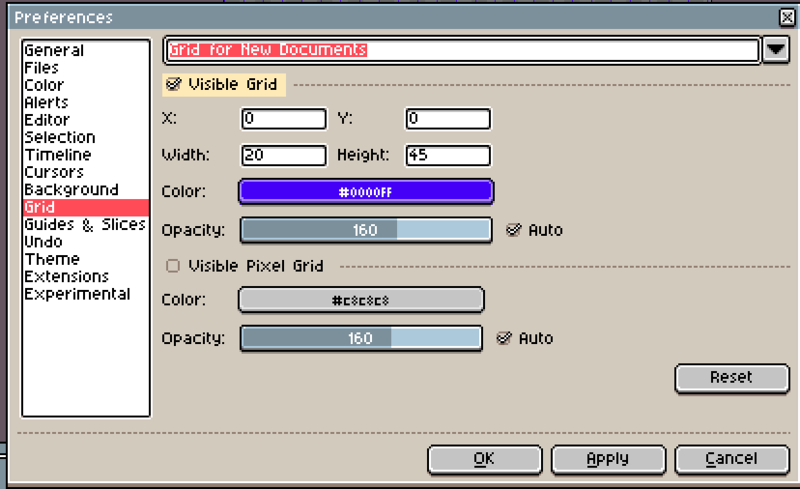 I do not mean the grid pixel, but the other grid, which separates the tiles and can be defined. Currently I have to activate it manually. Hola, ¿como puedo hacer que aparezca el grid activado por defecto?. No me refiero al pixel grid si no al otro grid, al que separa los tiles y se puede definir. Actualmente tengo que activarlo manualmente. Here. Just make sure you select “for New Documents” in the drop down menu at the top and tick Visible Grid.